Cinco de Mayo is one of our favorite days to cook up something festive and delicious! We love Mexican food at our house. Tacos, burritos, taquitos, nachos … we eat those things on a regular basis! We recently tried something new with one of our favorite appetizers. 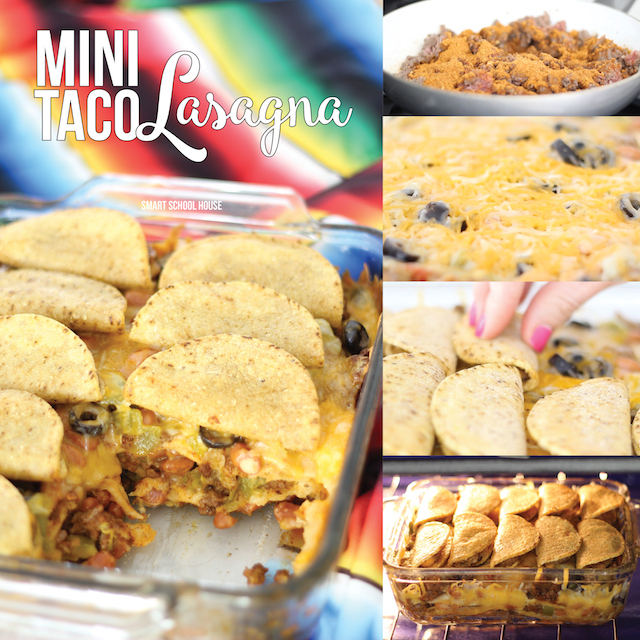 We made a delicious Mexican lasagna with mini tacos on top! 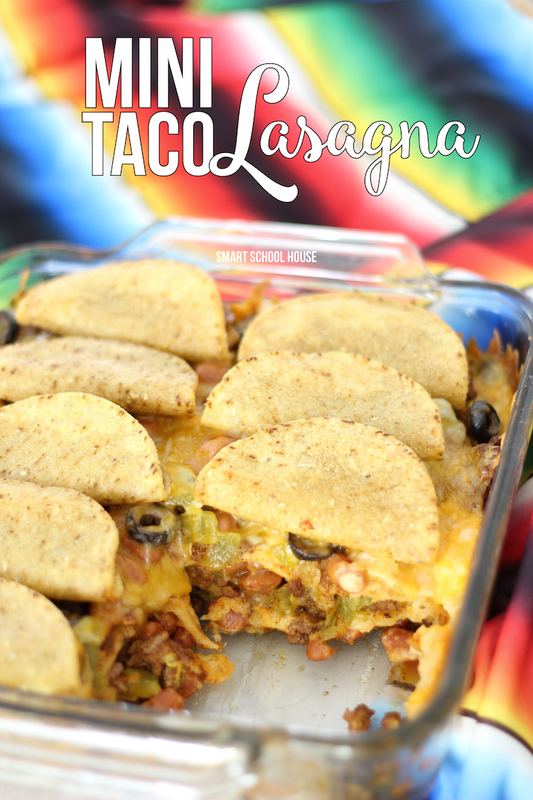 Not only is the Mini Taco Lasagna a really wonderful dish to present at a party because it looks so fun, it is hands-down one of the tastiest Mexican dinners we’ve ever made. Best of all, it is SIMPLE to make (super important!). 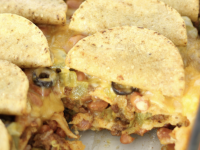 Just like a traditional lasagna dish, this Mexican lasagna is layered. Instead of pasta, ricotta, and mozzarella combinations, this meal includes tortillas, chilies, and tacos! The lasagna is baked in an 8×8 square dish and can be divided up as part of of a meal, or it can be divided up into appetizers for a crowed. We love meals that can serve different purposes like that! If you’re looking for a new, unique, easy, and scrumptious Cinco de Mayo recipe idea, try this! Hungry yet? We devoured this dish — and the little leftovers we had were JUST as tasty! If you’re throwing a Cinco de Mayo party, cut the lasagna into small pieces so your guests can grab one taco piece at a time (although they’ll come back for more). Place some sour cream and fresh guacamole out for the side. A little Spanish style rice and even some sweet corn cake would be great with it too! Don’t forget the chips and salsa! Your guests will be so intrigued by this creative dish. It is most definitely going to get them in the mood to celebrate Cinco de Mayo with you! Sprinkle the diced green chilies, sliced olives, and cheese on top (as seen in the video). Place 3 corn tortillas on top (2 full and one sliced in half as seen in the video). Repeat steps 4-6 two more times. Cover the dish with foil and let it bake for 15 minutes. After 15 minutes, remove the foil and place 10 mini frozen tacos on top. Bake uncovered for another 15 minutes. Serve with your favorite toppings and side dishes! Cover leftovers with foil and refrigerate. Reheat as necessary.